I’ve been a massive fan of YouTube for years now, but only ever really used it for karaoke tracks, or for finding old nostalgic adverts & kids TV shows! But about 2 years ago I started watching more beauty & lifestyle videos, and quickly developed the addiction to my favourite Youtubers and their content! I’d never really pictured myself starting my own channel, despite my performing arts background and my love of technology! It felt like another form of ‘celebrity’ that didn’t seem all that accessible to a novice like me! Also, I’m a perfectionist, and knew I wouldn’t be happy unless I knew I could produce good content, and devote lots of time to promoting what I was creating. But about 6 months ago I decided I’d give it a try. I watched hours of ‘How to Start a YouTube Channel’ videos, and swotted up on on the more technical side; cameras, lighting, audio equipment. I planned out my first ten videos, and then I bit the bullet and got on with filming! I started with filming singing covers and collab challenges (and still really enjoy doing both! ), but I’ve already started to incorporate a lot more beauty related content over the short time I’m had my channel. I’m really passionate about beauty as an art, so it’s definitely always going to be a big part of my content in the future. MIC & Remote input, HDMI and A/V output (great for using an external monitor to see your shot in more detail as you film it! Flip-out screen – This is obviously a massive help as I film on my own, and the screen saves a lot of time by allowing me to always have an eye on the frame as I’m filming! Interchangeable lenses – There are other camera available that will record video to a decent standard (iPhones too! ), but having the option to change lenses gives you so many more options! 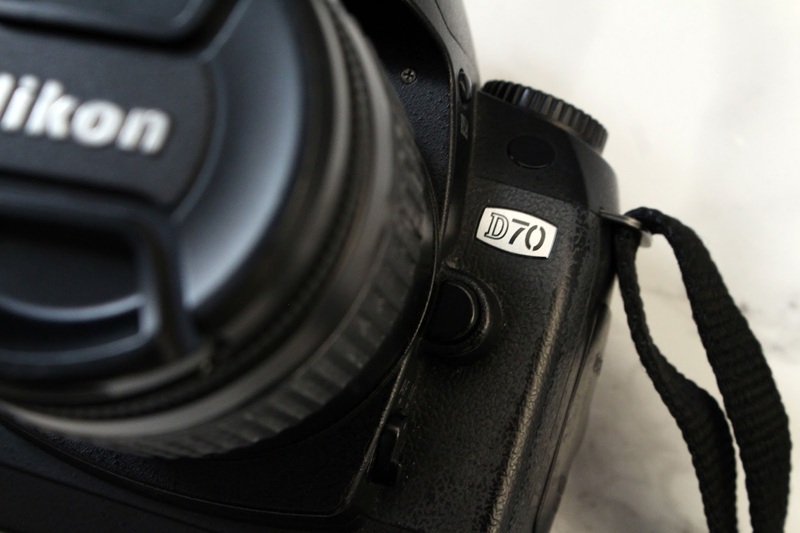 It also means that even if the lens breaks, your camera body may not have. 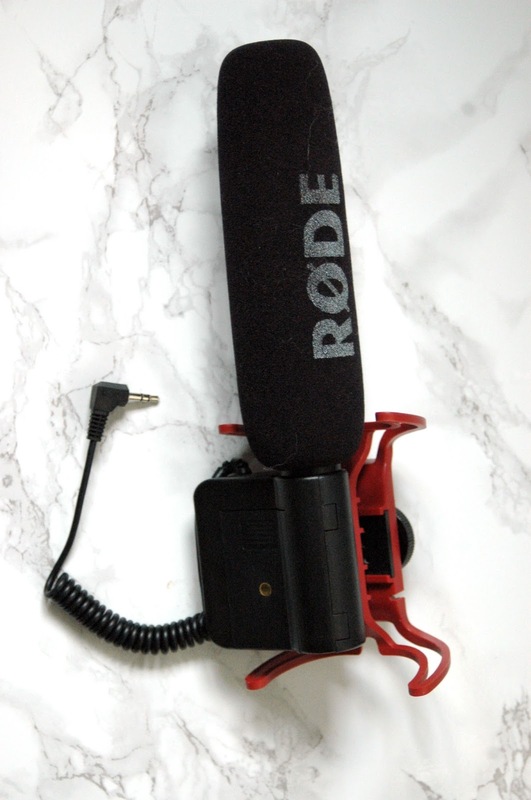 MIC input – The sound on DSLRs are not great, so having the option to plug in an external mic really improves the audio quality of my videos! 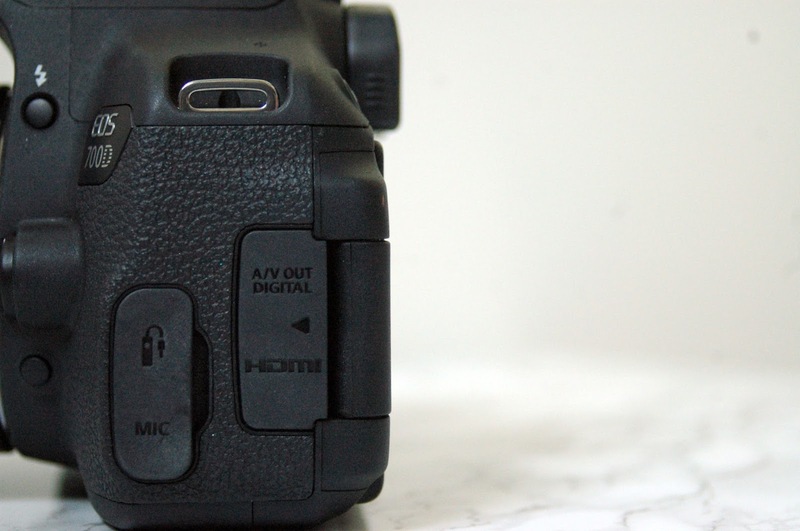 Remote input – I’m able to use a remote to take photos, rather than use the shutter button, so I don’t get that MySpace, arm-in-frame look when taking photos for thumbnails! 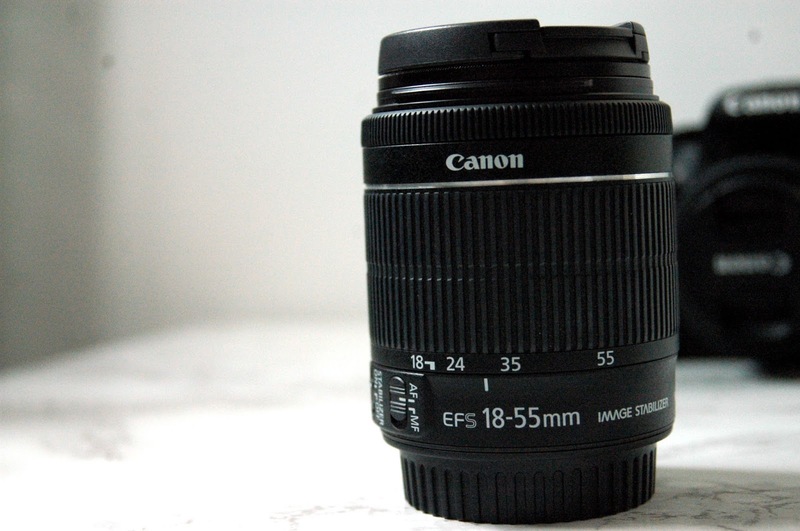 + A fixed distance lens – great for sitting and talking in front of the camera! + Shallower, and contains less glass. I think this makes the image a lot sharper. I use two box lights for filming usually; they’re surprisingly cheap at around £60 for the pair! 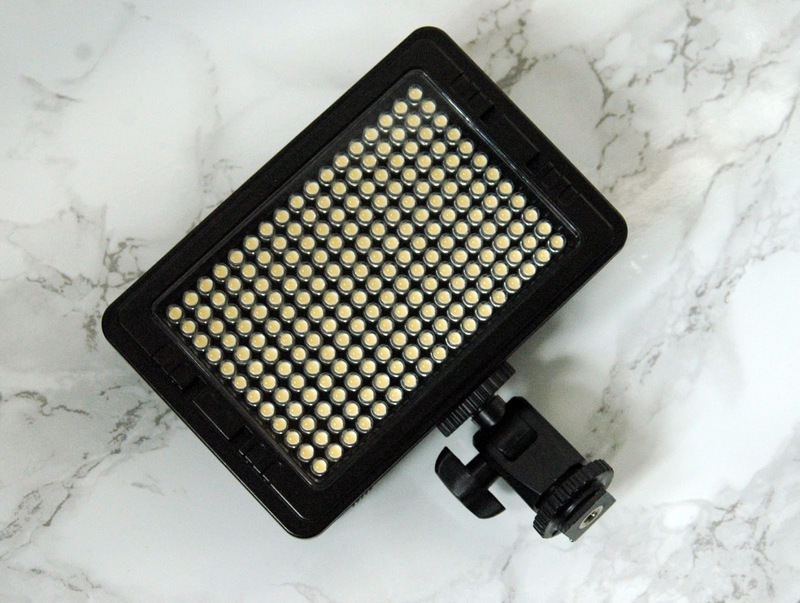 But when I’m vlogging, or filming cut-aways for products a poratable LED light really comes in handy! I think mine was around £20 from eBay. It can be powered by AC adapter or AA batteries, and has a dimmable option. It also came with a clear white light and an orange warm light filter. Lighting is the cheapest but most important thing you can change to achieve an instantly better image. You can have the best camera on the market, but if you don’t have enough light hitting you, the subject, the result won’t be as great as it can be. You can achieve an awesome quality by filming on your iPhone just by improving your lighting. Natural daylight is best, of course, but daylight bulbs are second best, and are obviously a little more controllable than the ever changing sun! 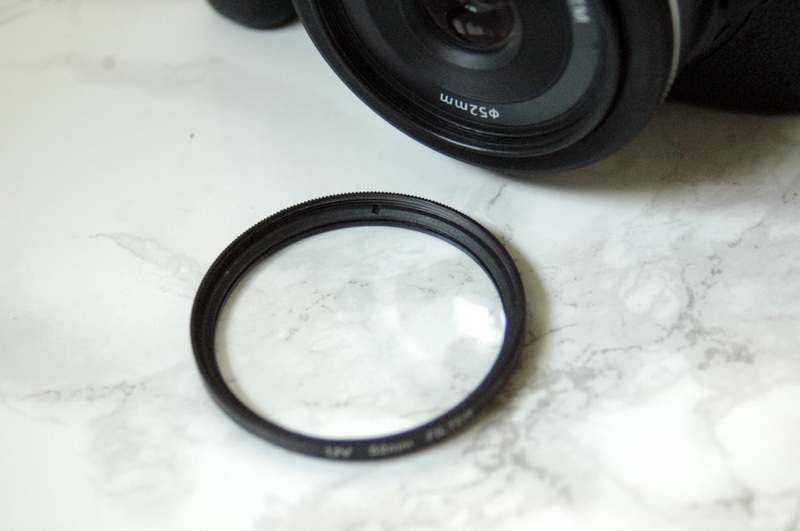 They cost just a few pounds from eBay but can save you from scratching a much more expensive lens! I highly recommend buying one the minute you buy a lens! 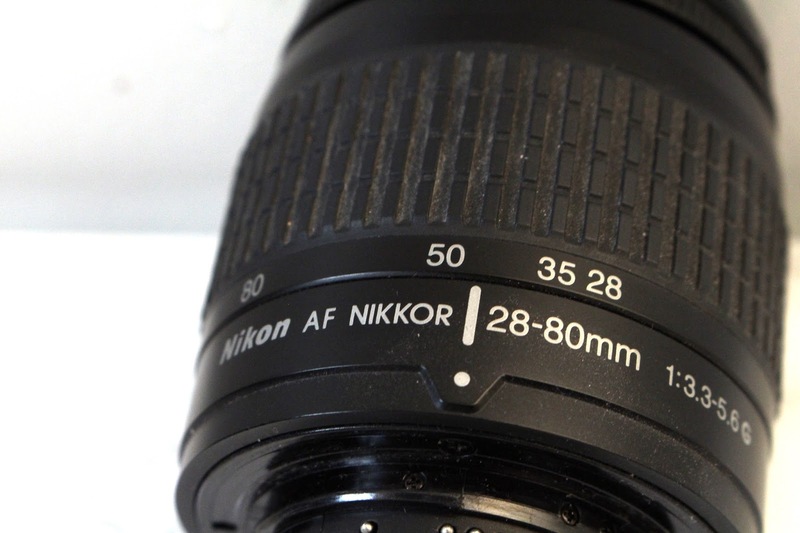 Your new lens will tell you what (thread) size that you’ll need . RODE is a pretty standard brand for YouTubers. I think they have 3 video mics; one is super cheap, there’s a middle of the road option (this is the one I use), and a much more expensive option. 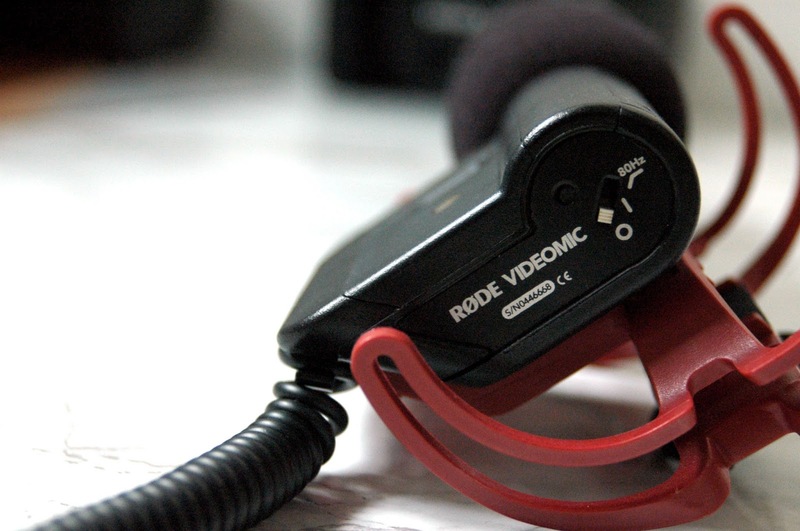 This Video Mic has 2 audio sensitivity settings that are useful depending on where you’re filming (inside or out). You can also get an attachment called a ‘Deadcat’ for when you film in windy conditions. 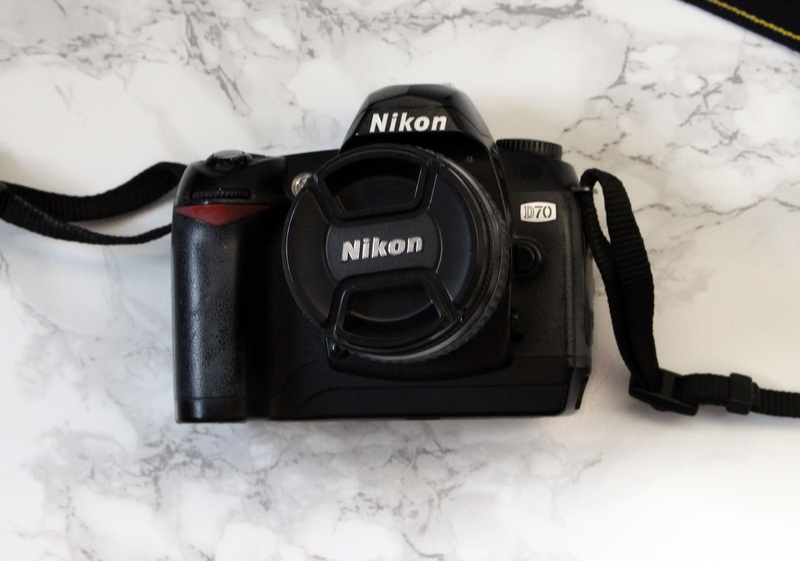 This an old but reliable DSLR with no video capability. The image quality is great for it’s age. 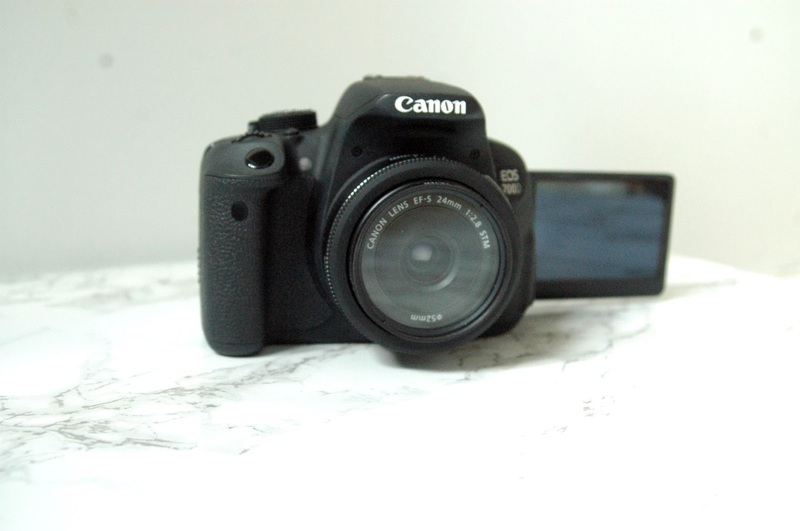 Unlike my Canon, it uses Compact Flash cards, instead of SD cards. These are a little more pricey. 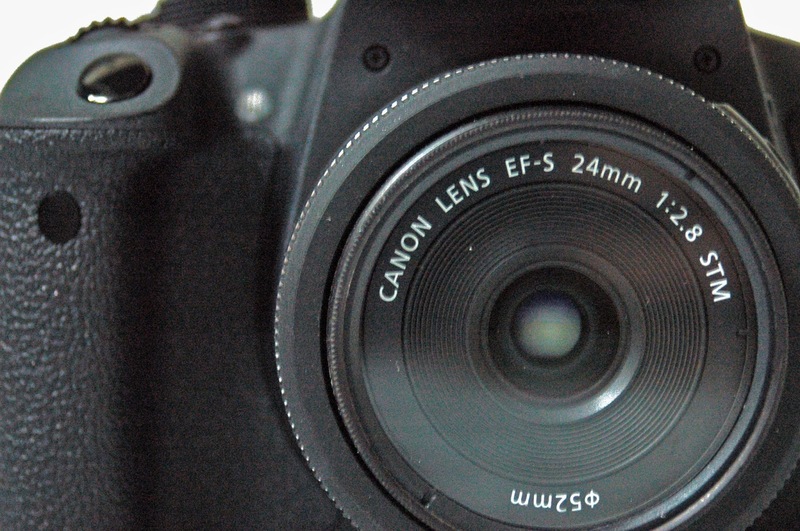 I have a kit lens on it, a 28-80mm zoom lens. Thanks for checking out this post, everyone, Please let me know if you have any questions, and any YouTubers out there be sure to let me know what you guys use! I’m always looking to improve my set up!